IIIT Hyderabad has released the notification for admission to Single Degree Programmes through JEE (Main) exam. 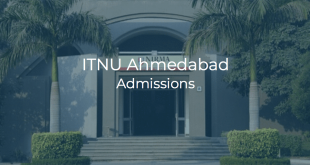 Check other modes of admission here. UPDATE: IIIT-H JEE(Main) Admissions 2018: Round 1 Result has been declared, read more here. The candidate must have passed or appearing in the Class XII or equivalent examination from a recognised Board/University and secure a minimum of 60% marks in Physics, Chemistry and Mathematics. 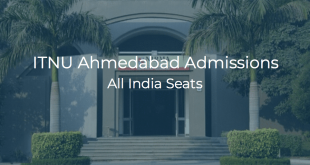 Students should take JEE (Main) – 2018 and must separately apply for IIIT Hyderabad seat allotment procedure. 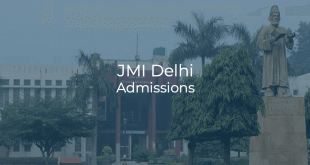 Admissions are done on the basis of total marks in JEE (Main) examination. The registration for IIIT Hyderabad Admissions 2018 through JEE (Main) mode will begin on April 7, 2018. The last date to register is May 31, 2018 May 25, 2018 (5 PM). UPDATE: IIIT Hyderabad Admissions 2018: JEE (Main) Mode Registrations have started, read more here. Visit IIIT Hyderabad admissions website and click on “Apply Now” or directly go here. Fill the application form with requisite information and pay the application fee to complete application. The admission process has multiple rounds. In each round, the institute will allot a seat to the applicant, and the applicant will have a deadline by which they can accept or decline the allotted seat. In the event no seat is allotted to the applicant, the applicant MUST explicitly agree to participate in further rounds. This is not automatic. An applicant who is allotted a seat should use the IIIT-H portal to explicitly accept the seat and pay the required fees. Applicants who fail to do so will have their seat allotment cancelled and will not be considered for the further rounds of admission. An applicant must explicitly agree to participate in further rounds of seat allotments. This requires logging onto the IIIT-H portal and indicating acceptance and paying the required fee. Applicants who fail to do so will not be considered for further seat allotment rounds. An applicant can cancel his/her seat allotment at any time before reporting to the institute. Depending on the round of seat allotment and the date of cancellation, appropriate refund will be sent back to the applicant by the end of September 2018. To know more about IIIT Hyderabad, go here.